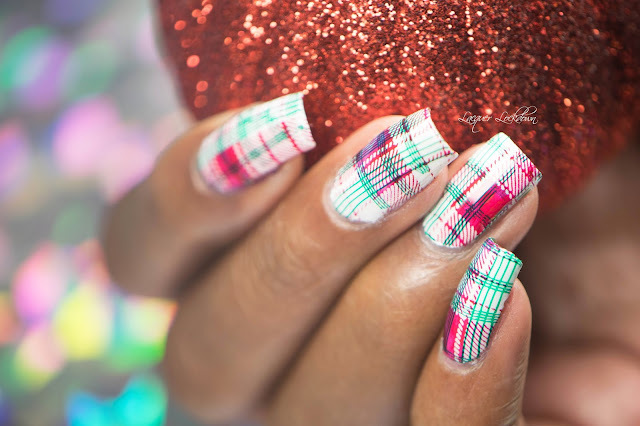 Here comes some Christmas nail art! How has everyone been? 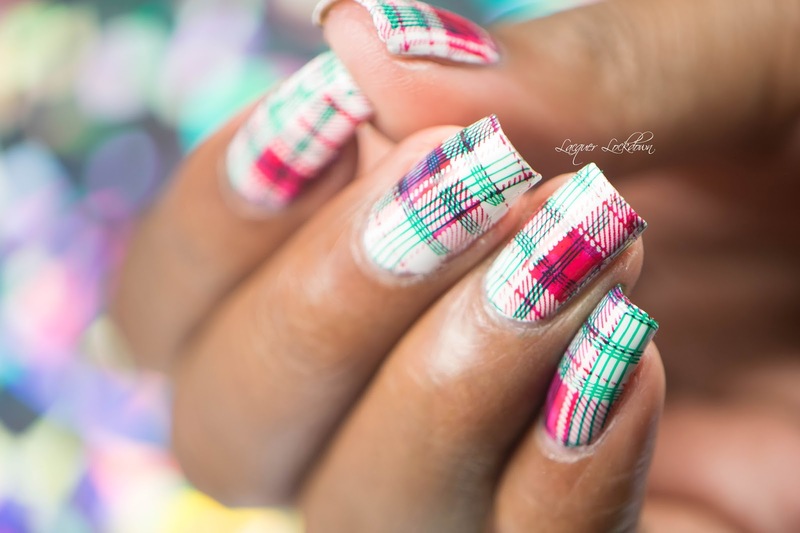 This year has been so hectic as usual I never get to do as much nail art as I want to around the holidays, but I have to admit I'm feeling these plaid simples. Easy if you have a clear stamper which most of us do and red, white, and green polish. The more I break out the Moyra plates the more I love them! I have all of them so I should know they are fantastic and worthwhile. I have yet to use a Moyra product I don't like. The trickiest part of this mani is creating symmetry and consistency across every nail. That is if you want the pattern to stay the same you have to place it the same every single time which is a bit tougher than it sounds. This is giving me life. 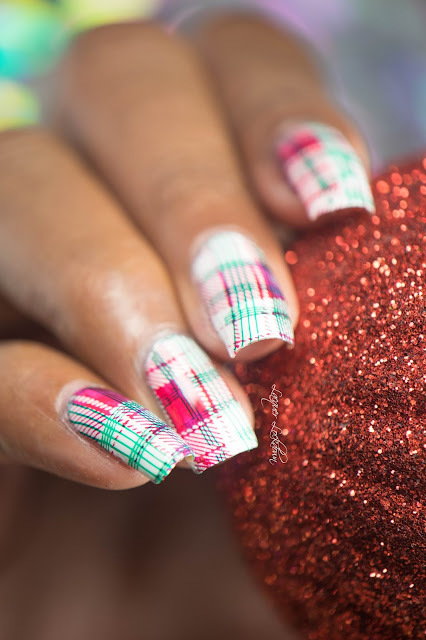 I really wish I got to do more holiday nail art this season. Like every season I just don't have the time like I used to and now I'm sick on top of everything else. Sigh still I'm hoping to keep plugging along slowly but surely with my love of all things stamping, nails, and nail polish. Btw these new nail guards are everything to me! I wish I'd gotten on them sooner but the price point was horrendous. These I've found 100 for $5 and they are perfect! You can get them here. I hope everyone has a spectacular Christmas and happy holidays!